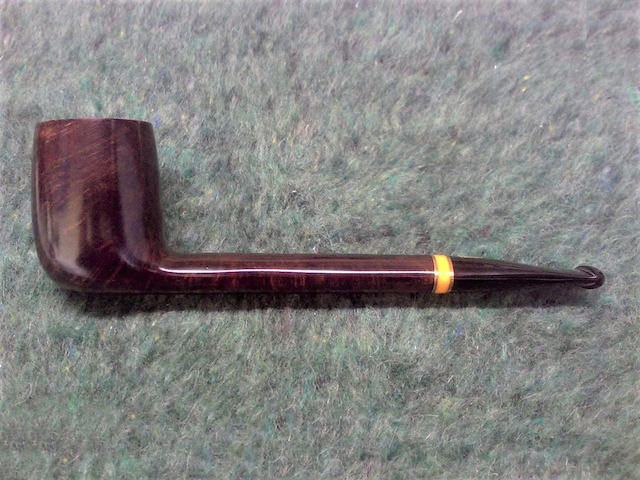 It is a wonderful pipe and was virtually unsmoked when I got it. Good morning, smoking pouch M79 in a Eugene Rich era Custombilt and drinking Café Bustelo from the Stanley. I just refilled the Grandy with more LC Vabur and the covfefe cup. The Bustelo can has a new look around here, more fiesta like with illustrations of senoritas dancing. Bustelo is good but it doesn't make me dance.